It's Mystery Object Time Again! So...last week’s mystery object! I hope you all had fun guessing what it was, both here and on my Facebook page. 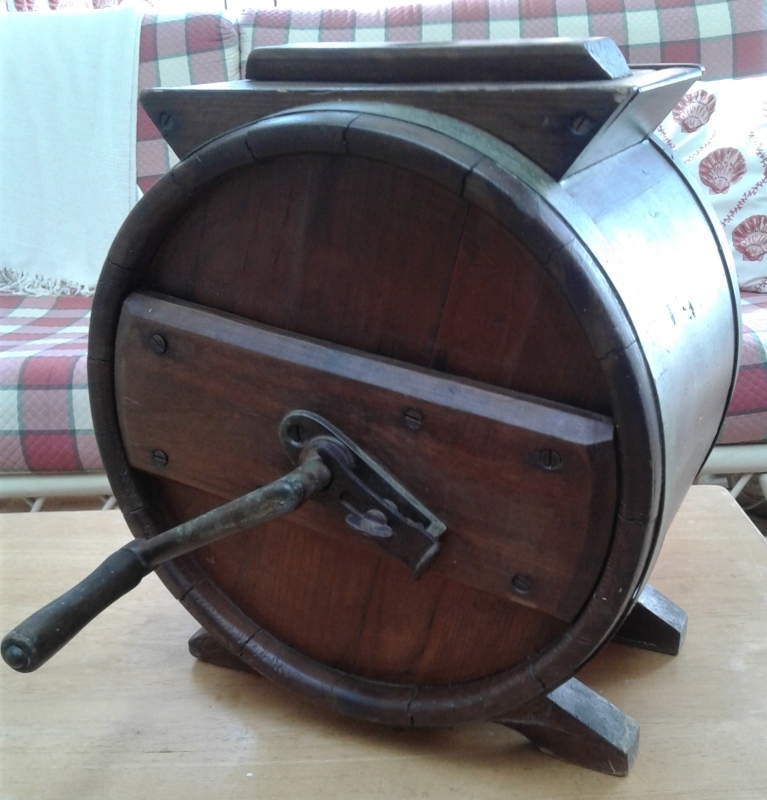 And those of you who guessed that it was a butter churn were absolutely correct! I would definitely have preferred one of these to the dash-style churn—at least one could hold a book and read while churning. One does have priorities. And speaking of reading...let’s talk about comfort reads. 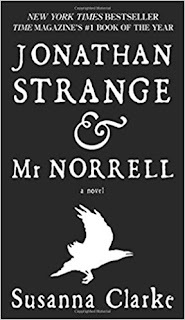 Do you have books that you turn to whenever you’re feeling unhappy or blue, or just need to spend time in the company of a dear old friend who never lets you down? I expect most of us bookworms have such comfort reads. I certainly do...and of course, most of mine are historical. I thought it might be fun to talk a little about some of mine...and for you to share yours so that we can all enlarge our lists. Are you ready? These are the oldest comfort reads on my list, since I discovered them somewhere around age nine or ten. They’re actually historical fantasy, set in an alternate timeline in which the Glorious Revolution never happened and the Stewarts continued to rule England and weren’t replaced by the Hanoverians...but that doesn’t mean the Hanoverians weren’t scheming to seize the throne. Fortunately a doughty crew of children and teens sees through their machinations and rallies the grownups against their evil plots. 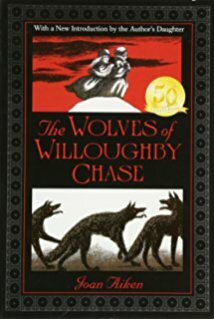 The series starts with The Wolves of Willoughby Chase and continues with Black Hearts in Battersea and Nightbirds on Nantucket, my personal favorite since it is set right near where I grew up in southeastern Massachusetts. I’ve actually never finished the whole series (there are eleven books in all), and while they’re written for a middle grade reading audience, this adult found them perfectly enjoyable reading. More historical fantasy (are you seeing a pattern here? 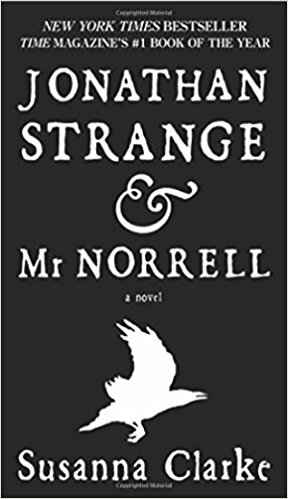 ), this time set in a Regency England where magic is an accepted part of life and one of the events of the Season, along with dancing at Almack’s and visiting the Summer Exhibition at the Royal Academy, might be attending the investiture of a new wizard at the Royal College of Wizards. 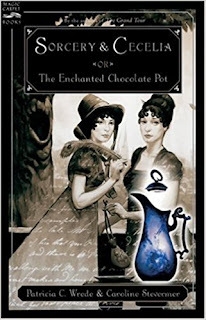 Kate Talgarth (yes, the book is littered with Georgette Heyer references) is off to London for her coming out, leaving behind her best friend (and cousin) Cecelia Rushton, but there will be plenty of magical adventure (and handsome suitors) enough for the both of them. Authors Patricia C. Wrede and Caroline Stevermer wrote this story as a lark in a series of letters one summer; there are books detailing the cousins’ further adventures, but this one is definitely the best. I don’t think it’s possible to read a Georgette Heyer novel and not find yourself in a better mood when you close the book. Although she did manage to write a few (in my opinion) duds, she wrote many more that were simply brilliant. The Grand Sophy, Cotillion, The Unknown Ajax, Sylvester, and Arabella are more or less guaranteed to put a smile on my face—how about you? All right, NineteenTeen readers, now it’s your turn—what are your favorite historical comfort reads? Georgette Beyer and Carla Kelly. Another vote for the amazing GH! Which are your favorite Heyers, Joan? Anything by Georgette Heyer (including her mysteries), Agatha Christie, Ngaio Marsh, Margery Allingham, Carola Dunn, Baroness Orczy and many more. Yes, I tend to prefer a costume drama or romance that doubles as a mystery. I love the era from late Georgian to the 1920's through 1940's. GH was my first introduction to an excellent mystery story that was also a well-written romance. Even my husband liked them. I got bored with most straight romances because they just don't have an interesting story line beyond the heroine's trials and tribulations. 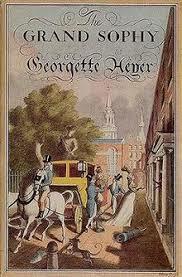 mamafrog, I got my husband hooked on Georgette Heyer too. :) And I don't read much romance that doesn't also have other elements for the same reason--I like lots of exterior plot and turmoil to go with the inner bits. Jane Austen and Georgette Heyer, plus childhood favorites like Anne of Green Gables and the American Girl books. Sorcery and Cecilia is a great book! I highly recommend it. It led me to Bewitching Season! So difficult to pick favourites. Heyer, of course - except then which ones? The Grand Sophy, Arabella, Cotillion for starters. I have fondnesses for your other names authors too. Also, one of my long standing authors, is Meriol Trevor, especially her Luxembourg series. Patricia Veryan is a great read. Dinah Dean also wrote excellent romances, her Russian series is particularly good. For someone from the period, apart from Austen, there is Thomas Love Peacock who is definitely not to be taken seriously. Historical writers from the early 20th Century were legion, I zoomed through these at one point, and still can enjoy them - Raphael Sabatini, Stanley Weyman, Samuel Rutherford Crockett, Jeffrey Farnol and of course Baroness Orczy (who can go past the Scarlet Pimpernel). Too many authors.